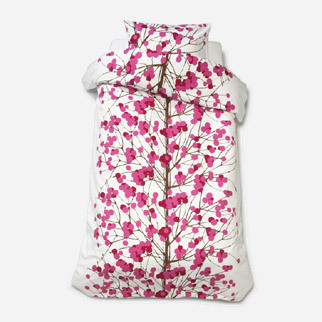 Now that I've finally found and bought, I mean "won" (much better ring to it) my daughter Anoushka's new bed on eBay (you will die! 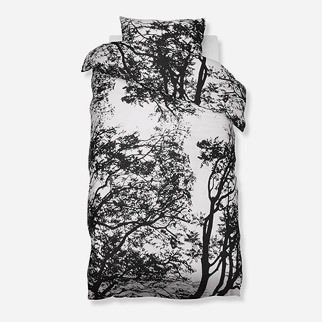 ), I will be on the prowl in a big way for mind-bogglingly beautiful bed linen. 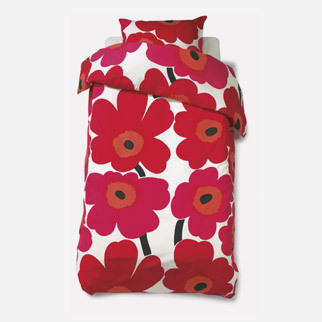 Which brings me to Marimekko, a Finnish textile and clothing design company, established in 1951. 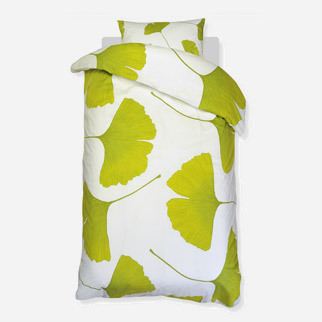 While best known for their eye-popping textiles, they also "design, manufacture and market high-quality clothing, bags and other accessories under the Marimekko brand, both in Finland and abroad". 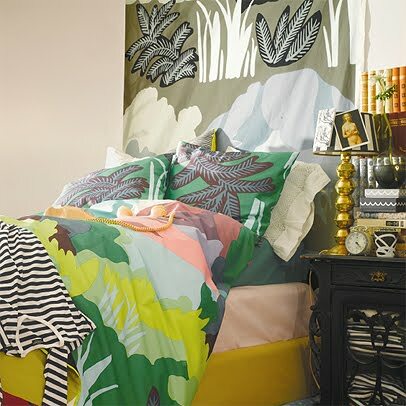 Their duvet covers and pillowcases are made from high-quality 100 per cent cotton, and the bed linen has even been awarded the "Öko-Tex Standard 100 environmental certificate", ensuring that no noxious chemicals were used in the manufacture of the products. View their Australian stockists here.